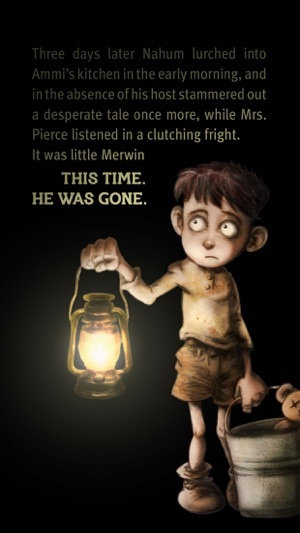 Read, listen, play and move your device, to dive into the story like you've never done before. 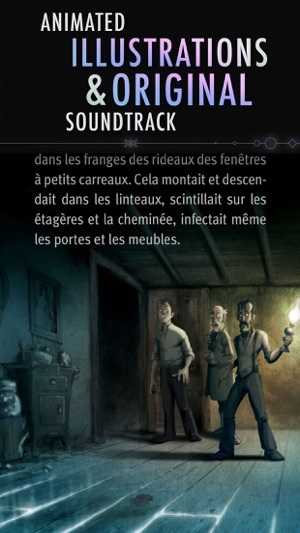 Going much further than reading a text with illustrations; the experience has animated and interactive scenes, coupled with sound effects, careful design and an original soundtrack, all joined together to immerse yourself in the bowels of one of the H.P. 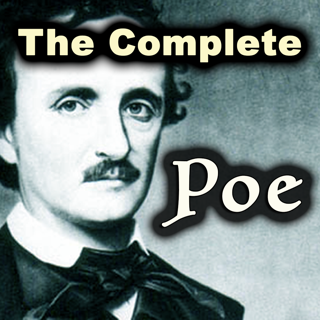 Lovecraft’s most acclaimed stories in an unprecedented way. The Colour Out of Space is considered one of the best science fiction and terror stories of all time. It was first published in the September 1927 issue of the mythical magazine “Amazing Stories”, and instantly had a great reception among fans of the genre. The Providence genius broke the established molds and presented the greatest of horrors as a simple chromatic element that lurks and threatens the protagonists of the story, something really innovative for the time when the horror stories were based on vampires, ghosts and other more conventional monsters. Perhaps for this reason, this is one of Lovecraft's own favorite stories. Now you can enjoy it in this new interactive format, and be part of the horror that stalked the hills of Arkham during the "strange days" ... If you dare. • Original unabridged text: no adaptations. • Available in 3 languages: English, Spanish and French. • More than 63 interactive animations. • Illustrated and directed by David G. Forés. • Extra content: Illustrator sketchbook and App creation processes. • Jump to any page of the book from the table of contents. • Page Memory: Return to the same page you left off from. 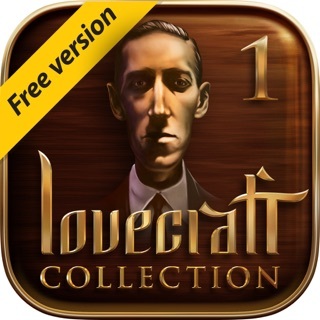 • Universal App: Pay once and have access from any iPhone or iPad device. • Compatible with the latest iOS features. 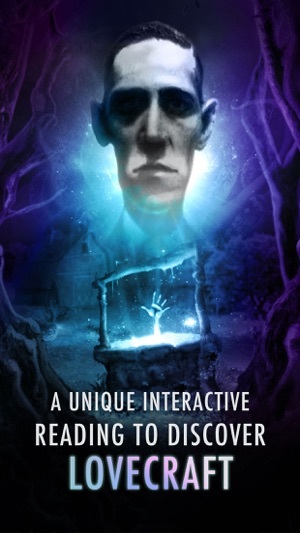 Just got finished reading the story to my wife, who never read HPL, but who loved the whole audiovisual experience of this app. I remember finding a worn, 50 cent paperback at an old used bookstore called "The Colour Out of Space", buying it, and shivering in fear as I read it, some 50+ years ago. It made HPL my favorite writer as a kid and I voraciously read everything I could find by Mr Lovecraft. (I also remember a terrible movie adaptation of it from the 1960's, starring Boris Karloff, called "Die, Monster, Die" which as I recall didn't even credit this story as being the source for what the movie was based on. If you can find a copy, DON'T!) 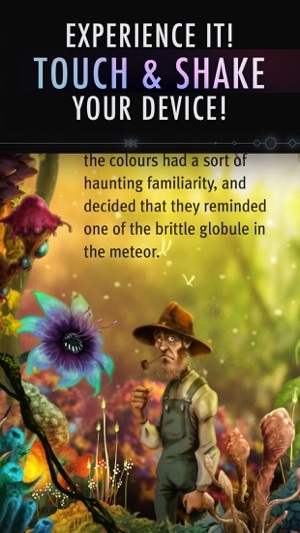 This app experience reminded me of how I felt reading the story the first time. Wonderful! Best 3 bucks I’ve ever spent! Lovecraft was brilliant, but in modern times, his language, setting and context can seem quite alien to readers. That’s what makes this format so helpful and engaging; it utilizes our modern desires for a certain pace, certain highs and lows (and “jump-scares”) and an overall tone or mood. It takes its cues from the past hundred years of suspense and horror tales writ large in cinematic language, and utilizes those tactics and forms to re-tell Lovecraft’s bizarre and lavish stories in a way we can more easily digest. 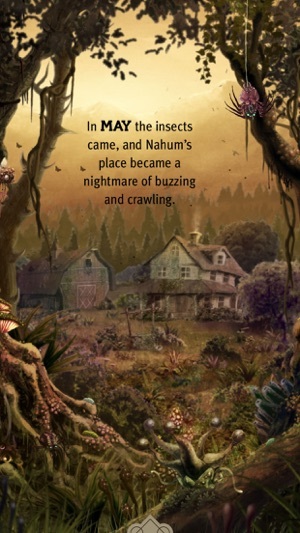 I will, however, argue that Lovecraft’s particular style is designed to inspire the readers by only telling vague descriptors of monsters, ghouls and forms, and leaving the details to their imaginations, thus making many of the illustrations – beautiful, vivid and horrifying as they are – a bit superfluous. 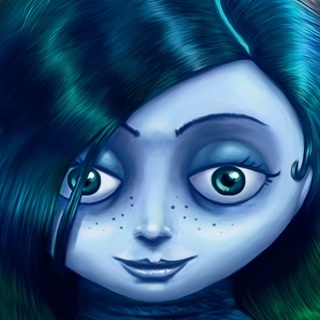 We’re I the creative director of this app, I might suggest illustrating only the “edges” of the horror and never fully revealing what a given horrific thing actually looks like. That’s my one criticism of this format. I hope to read more stories - and certainly more from Lovecraft - in this way as “new media” integrates with old formats. Love the vibrating sights and sounds. I almost expected a stench and foul green smoke to emit from my phone or tentacle to break thru during some of those passages of Lovecraft. There’s an eerieness that I haven’t felt since I first saw The Ring. Some of the flying bugs also made me think of The Mist. You really make scary other worldly creatures of Necronomicon lore come to life. They’re like interactive graphic novels. Very cool. And intense. Great pairing of a scary soundtrack to the text. And I like the gothic look to the pages. Sometimes black, sometimes white. And was very inventive with being able to scroll around rooms or move branches. Gave it a nice POV feel with an exciting involved first person reader experience.